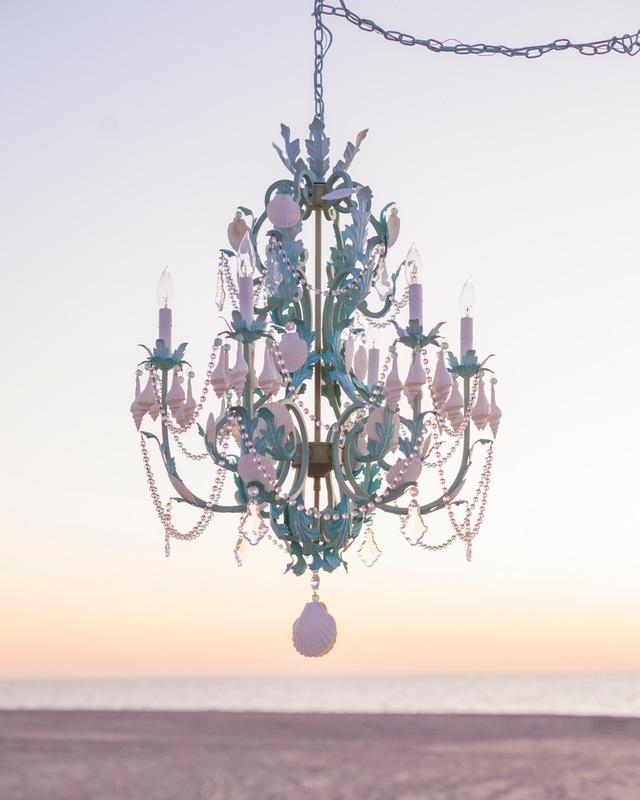 Symphony of Shells Chandelier Italian country, hand painted with monochromatic aqua colors from dark at the bottom to light at the top. White scallop and hemifusus shells, crystal ball swags and French pendalogues 27″W x 37″H. 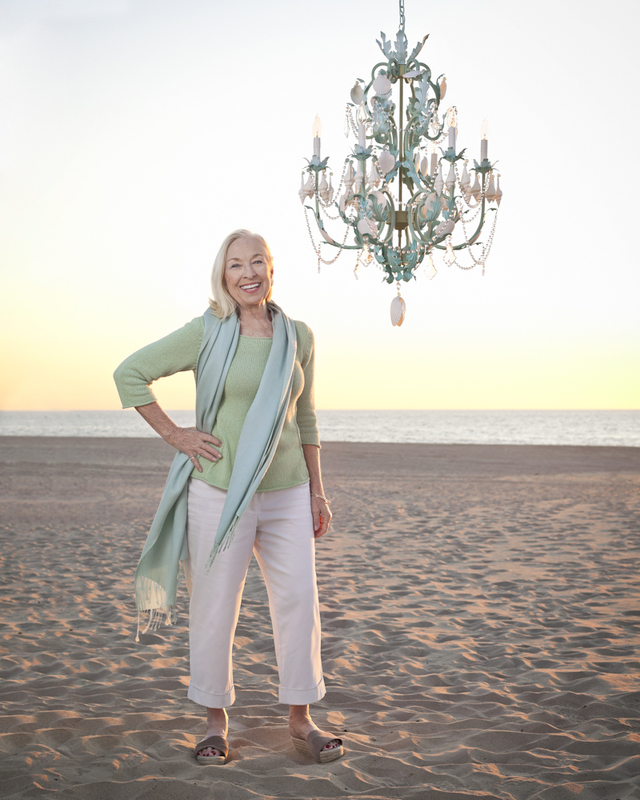 Chandelier as seen in a feature article, Southbay Magazine. Feb./Mar. Issue 2012.